It all began with the tiny things that seemed so normal and trivial at first. The struggle to remember the procedure of a favorite recipe or the simple task of making tea. Trailing off in the middle of a conversation and not remembering what had been said before. The struggle to remember important events such as birthday and anniversaries. But then it worsened, and your elderly parent or spouse became confused and couldn’t remember where they are even when they are in their own homes. They don’t recognise their grandchildren or even their own children anymore. In some cases, they don’t even recognise their own spouse. The doctor’s diagnosis that the patient has dementia finally confirmed your worst fears. Researchers had made great strides in many areas in medicine, but dementia seems to be one of the toughest puzzles that had stumped scientists over the years. There is no effective treatment for this disorder right now, so the caregivers and relatives of people who have dementia are forced to soldier on despite the difficulties. But as the disorder progresses, the demands on the energy, time, and emotion of the family caregiver can become taxing. The stress of caring for a demented older adult can double especially if the primary caregiver also has to juggle a job and a family. To ease the stress of caregiving, some families make the wrenching decision to place the demented older adult in an aged care facility. If you are a spouse or an adult child of someone who has dementia and had decided to place your loved one an aged care facility, how will you know if the facility is somewhere your loved one will be well-taken care of. With the ten vital questions listed below, we’ll help you find and choose the right aged care provider for your loved one who is suffering from dementia. What type of aged care facility is it? Does it offer specialised dementia care? There are different types of residential aged care facilities, and not all facilities offer specialised dementia care. Some offer only general care for the elderly and are not equipped to deal with patients with dementia. Retirement homes and assisted living facilities may be suitable for elderly individuals who have early-stage dementia and whose behaviour is still manageable. These facilities may not be your best option if your loved one already has advanced-stage dementia and is exhibiting certain disruptive behaviour, such as restiveness and aggression. On the other hand, nursing homes or long-term aged care facilities may be a good option for the family if the facilities offer specialised dementia care or memory care units. These facilities have doctors, registered nurses, and other staff who are trained to care specifically for patients with dementia and Alzheimer’s disease. Before committing to one facility, visit multiple facilities first to see if your loved one will be comfortable in such a setting and check the level of care the staff provides. You should also inquire if the facility can accommodate patients with mobility issues. If the aged care facility has a dementia care unit, what is the cost of care and what are the payment options? The cost of caring for elderly people, especially those with special needs, can be staggering. Before committing to place the elderly individual to an aged care facility, shop around and ask which community offers the best rate and the best care. You can check and compare the facilities’ basic daily fee. This covers your parent or spouse’s meals, cleaning, electricity, phone, laundry, and other basic services. You can also check if the accommodation fee and other fees for additional services. Ask the facility director if there is a required deposit and if it will be refunded upon termination of service. If your parent or spouse who has dementia is a pensioner, check if there are payment options available for them. 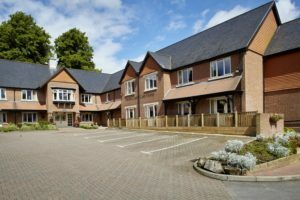 Is the facility secure, well-maintained, and designed to meet the needs and comfort of an elderly individual with dementia? Ideally, a facility should have a comfortable and homey atmosphere with access to a lovely and stimulating outdoor area. Take note of the number of residents in the community as a jam-packed facility can be quite confusing for your parent or spouse. Check whether the floors, furniture, and carpets are clean and well-maintained. Your family member will not receive the best care possible in a facility that is not well-maintained. Does the facility have a resident GP or a visiting physician? Elderly people–especially those who have dementia–often have complex and long-term medical needs, that’s why it’s important to have an attending physician on site to make important clinical decisions whenever required. They are also responsible for assessing the health of a new resident, provide documentation when necessary, and making periodic visits to patients in the community to keep track of their health. How many registered nurses, licensed vocational nurses, and certified nursing assistants are available for each shift? Are they available 24 hours a day, 7 days a week? Taking care of dementia patients is challenging as they often exhibit behaviours that can be difficult for caregivers to comprehend or deal with. That is why it is important that the caregivers–from the registered nurses to nursing assistants to other staff–have adequate experience in caring for dementia patients before they are hired. It is also crucial that the staff-to-patient ratio is adequate to ensure that everyone is taken care of and kept track of. If their staff-to-resident ratio is adequate, ask yourself if the staff exhibit kindness, compassion, and respect toward the residents at all times. What daily activities are available for the residents? Although the memory and other cognitive processes of dementia patients have deteriorated, this doesn’t mean that should be left to watch TV or stare at space all day and wither away. Just like everyone else, people who have dementia need to engage in activities that stimulate the body and the mind. 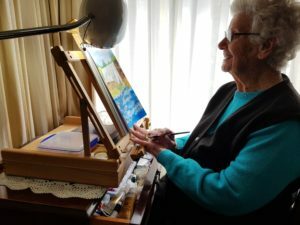 During the facility tour, ask the staff if the residents are given the chance to exercise daily, as well as listen to some music, paint, tend the garden, or any such stimulating activities. Some aged care providers also have pet therapy programs. How do you ensure that your residents will not be neglected or mistreated by the staff? Elderly individuals suffering from dementia are particularly vulnerable to mistreatment and neglect. Fortunately, there are some red flags you can spot to know that a facility is not the best place for your family member. Before you commit, ask for references from the facility. Phones and call lights that often go unanswered are also signs that the patient will likely suffer from neglect. Note if the residents are treated with respect or if there’s a lot of shouting or verbal abuse involved in dealing with the residents. If this is the case, it is best to look for another facility. Does the facility accommodate dementia patients who also have other special needs? Apart from dementia, some elderly patients also suffer from disorders such as kidney failure, diabetes, and cancer. Check if special care is available for patients suffering from dementia and such diseases. In case of emergency events, how will this be handled? Check if the aged care facility is ready to respond to and has a plan in place in case of events such as flooding, typhoons, fires, or power failures. The staff should have a plan in place in case they and the residents need to evacuate. Aged care providers are also required to provide transportation and accommodation during such emergencies. Is there an existing support group for the residents’ family members? Caring for and loving a person who has dementia is hard, so it’s important that family members have a support group where they can share stories, express their hopes, and vent their frustrations or grief without judgment. Support group members are encouraged to share information, as well as resources other family members might also find helpful.